The EU Commission and the “European Federation of Pharmaceutical Industries and Associations” (EFPIA) will be funding another joint research project called iConsensus. The project has the aim of developing new scientific methods for the optimization of cell cultures. 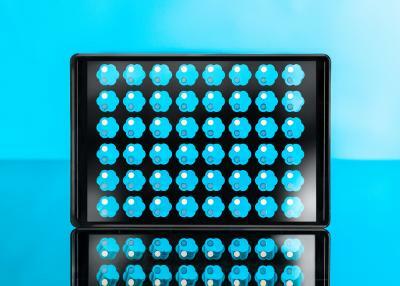 Cell cultures are used especially in the development and production of complex pharmaceuticals. In this way, highly effective substances can be produced in a biological manner. Environmental pollution which could be linked to chemical production processes is, for the most part, avoided completely. Within this project, m2p-labs GmbH will be developing a new device in cooperation with other specialized companies and prestigious research facilities in Europe to be able to improve cell culture processes quickly and transfer them to the production scale. m2p-labs will benefit from the expertise of involved pharmaceutical companies in terms of product requirements and future research applications of the new device generation. A central element of the cooperation with the involved research facilities will be the online 2D fluorescence spectroscopy1), used for the analysis of parallel miniaturized cell cultures for the first time. 1) This is an optical measuring method, by which light is radiated into a sample with various wavelengths in the visible range. Due to the fluorescence phenomenon, light will, in turn, be emitted from the sample. This light is absorbed and plotted into a 2-dimensional image from excitation light and emitted light. This image can provide information on various process parameters such as pH value, cell density or various metabolic products. 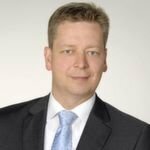 m2p-labs GmbH is an innovative biotechnology company that produces microbioreactors for the Life Science market. 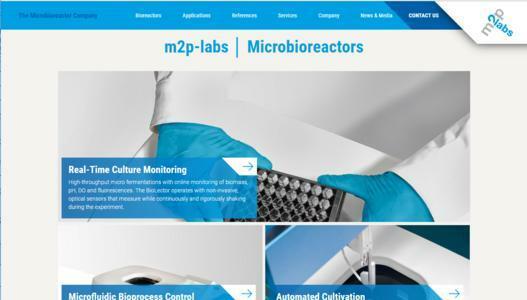 With the patented technology of BioLector® and RoboLector® systems and the FlowerPlate®, m2p-labs as a manufacturer supplies platforms for the microfermentation and automation of bioprocess development. The company operates worldwide and allows clients to carry out an efficient screening of cells for bioprocess engineering and for the automated optimization of their cultivation conditions.